Although no major municipality has experienced a sudden outflow of wealthy residents, a slow but steady outflow has a cumulative effect on budgets. 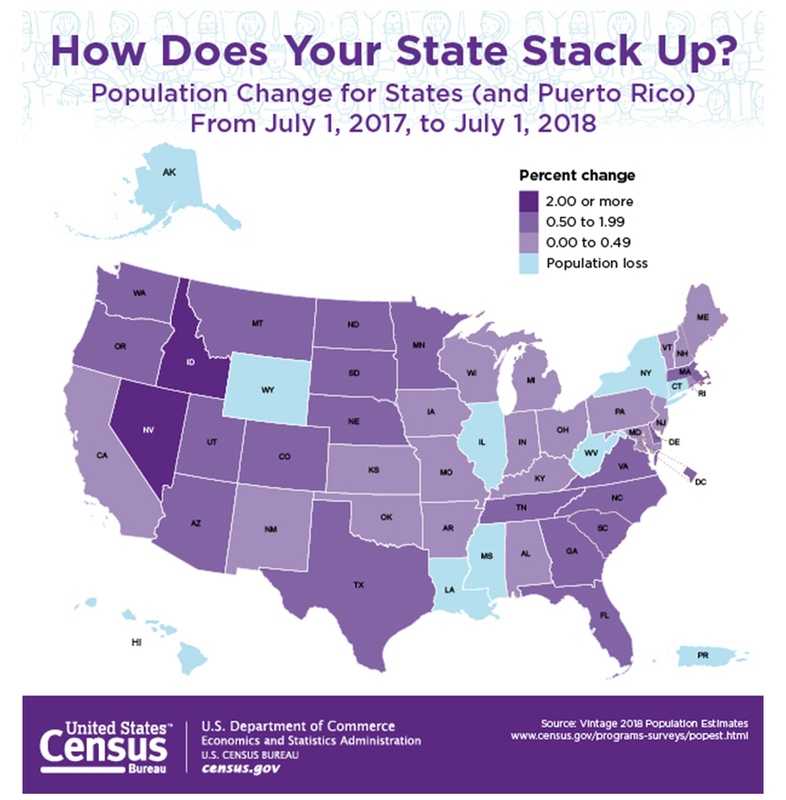 This is showing up in places like New York, which from 2010 to 2017 suffered a net out-migration of over 1 million taxpayers, a level that was more than any other state, including California, which lost just under 1 million taxpayers over the same period. 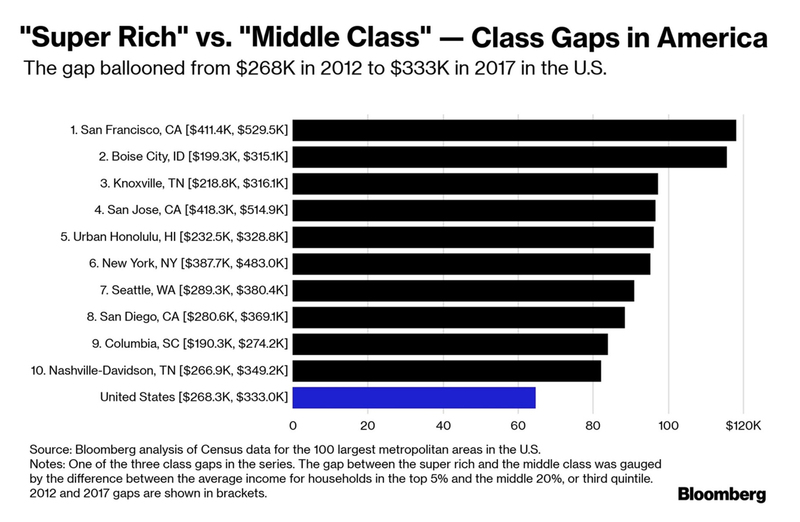 This apparent secular out-migration trend is particularly troubling because the top 1% of New York State earners pay 46% of all the income taxes collected by the state. As states like New York, New Jersey, Connecticut, Illinois, California, and the major cities within them, become more dependent on an increasingly smaller number of high-income taxpayers to fund their growing fiscal deficits, the ongoing leakage of these outbound taxpayers can and will cause significant budget disruptions for the municipalities and their respective creditors. We believe that these trends, if left unresolved through significant budget expense adjustments, will become increasingly difficult for creditors and credit ratings agencies to ignore. An eroding tax base is difficult for most municipal governments to curtail once trends such as those cited above get firmly underway. Adding to our concern about these trends is the recognition that the U.S. economy continues to enjoy a robust level of economic activity. Until now this has allowed many state and city governments to defer any meaningful spending adjustments, and they have preferred to raise income taxes to punitive levels in order to close short-run funding gaps. At some point, the current favorable environment will dissipate and disappoint. That is the day of reckoning that creditors should be concerned about in the months ahead. As always, the determining factor for investors looking to make allocations to municipal bonds remains valuations. In the current environment, our view is that many of these tax burdensome issuers do not provide enough yield reward relative to municipal issuers from other regions or possibly taxable corporate bonds with similar credit profiles, unless you are a resident of the high tax rate state. Fortunately for our clients and investors in general, the municipal market provides numerous beneficial alternatives to enhance yield reward and maintain a stable credit profile while avoiding some of the potentially harmful secular demographic trends presented above.